Store your needles and pins in style. 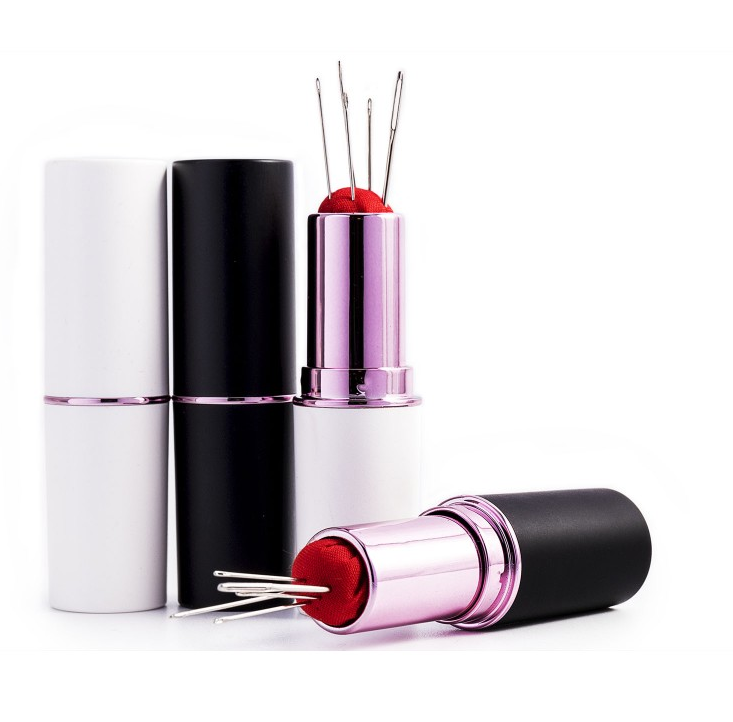 Lipstick case with pin cushion with 5 hand needles. Simply turn and open like a normal lipstick.